Included leash rings can be mounted under the toes. Notes Bayonet lock makes for easy servicing. Bottom Line Adjustability where you want it, simplicity elsewhere. Sorry, but I just don't love this binding. I've skiied in pretty much all the usual Dynafit models and have been blown away by their product engineering....but these missed. -the toe nubbin plastic thing that broke off in previous review (see above) broke off for me as well, but I had the boot in the binding and was pulling up on it to put it in tour mode. I was skiing in Japan, super super cold maybe, but the little thing cracked and I was forced to do the same jimmy-rig with some voile straps to let me keep touring all day. -the toe lever itself is oddly long and sometimes gets snagged on kick turns, not sure what the deal is here? 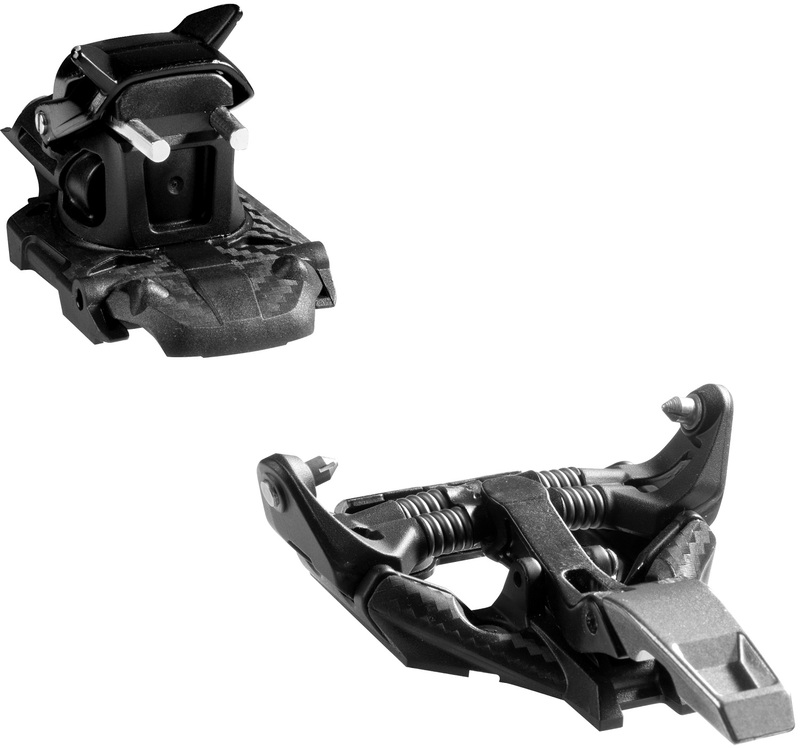 -the toe unit is the hardest to engage of any dynafit I've ever used, again, not sure what the change was here? -the heel unit doesn't really have a typical "high" mode, just a "low" mode and a "medium" mode. Some people won't care about this, but I seem to always have a moments throughout a day when the "high" heel lift is a life saver. -as a plus, it is really light. Hi Robert, Dynafit put new toe nubbin plastic things on this year's (2018/19) model. Your dealer should be able to get you one for previous seasons. 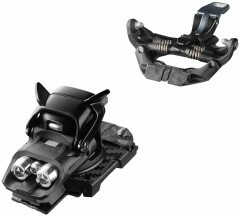 There may be some issues with some boots in terms of lever/step in; that's par for the course with tech bindings. Hey Matt! Ha, no not even close. The lever isn't necessarily fragile, but just make sure to not lock it without a boot in there and all of the problems in that previous review are solved! Read closely and there are no problems mentioned with the rest of the binding. This is true with all brands and it's not exclusive to Dynafit, but toe levers operate very differently when a boot is in there and when a boot isn't in there. Even if the lever does fail for some reason, there are spare parts ready to go (we offer these free if you're having trouble with a binding purchased here). Solid mid-weight binding, just don't lock the toe lever without a boot in there. Following up the 11.22 question from Eirik, I have a 322 BSL Maestrale and a 314 BSL F1. In your experience with these bindings thus far, is there enough adjustment range to mount to a 318 BSL and allow for +/- 4mm of adjustment to run either boot? Thanks for weighing in! Hi DWR, there should be enough range in the binding, but it will take a very careful mount to pull it off! Do not buy these, they need to be recalled the toe lever will break on your first tour because the tiniest piece of plastic that is barely attached to the aluminum lever is the only thing that keeps you in tour mode. I bought these without really looking at them too much but just blindly trusting dynafit after having owned so much of their great gear and various models of bindings. I wanted something lighter than the radicals and went with these and when I got to the parking lot for my first tour one binding was already broken and tour mode wouldn't engage, when I figured out the plastic piece that wedges the toe in tour mode was gone I rigged a rubber ski strap underneath it and wedged it up and to keep the strap off the snow and out of the way I looped it through one of my buckles. So problem fixed, 5 dollar strap to make a brand new 500$ binding work. I toured for the day went home and in disbelief was looking at the bindings and blown away by the ingenious work of engineering and obvious lack of testing and I put the not broken binding into tour mode and popped it with my hand back into ski mode and the tiny plastic piece on the non broken binding went flying across the room. Boom - one tour down both bindings broken. I took them back to the store and the guy already knew why I was bringing them back! Don't buy these, don't sell these. Recall them, refund them! Now I'm buying non-dynafit replacements. Hi Justin, as you discovered, locking the toe without a boot in it is contraindicated. Note there are already new lever parts available to rectify that situation (if you want to lock and unlock without a boot). Hey. If I use the Dyanfit Speed jigg and mount them for a pair of 300mm boots, can I then adjust the binding to 295mm and 305mm then? Hey Eirik, thanks for reaching out! Yes, in theory, however sometimes you don't actually get the max adjustment range out of each binding, meaning even though they state 10mm of adjustment, you actually get maybe 7-9mm or so. Maybe a better way to put it would be that I definitely wouldn't want to bet a new ski on getting all 10mm of adjustment out of it. Do you know the approximate DIN/RV for the fixed vertical release? Is it comparable to the Speed Superlight White? Hey Michael, this'll be releasing closer to the Superlite Black edition than the White. Exact release value depends a bit on the boot sole length, ski flex, and a few other things, but we haven't done enough release value testing to confidently say how they are operating across the board. The SpeedFit is testing closer to the White Superlite. Is the hole pattern classic Dynafit Radical (1.0) / Speed Radical, or something else? Hi Chris, I've just updated our table of hole patterns. The toe is the same as the Radical, but the heel is a new 28 x 38.5 (W x L) rectangular pattern. The aft heel holes match up with the Superlite 2.0 for what it's worth.